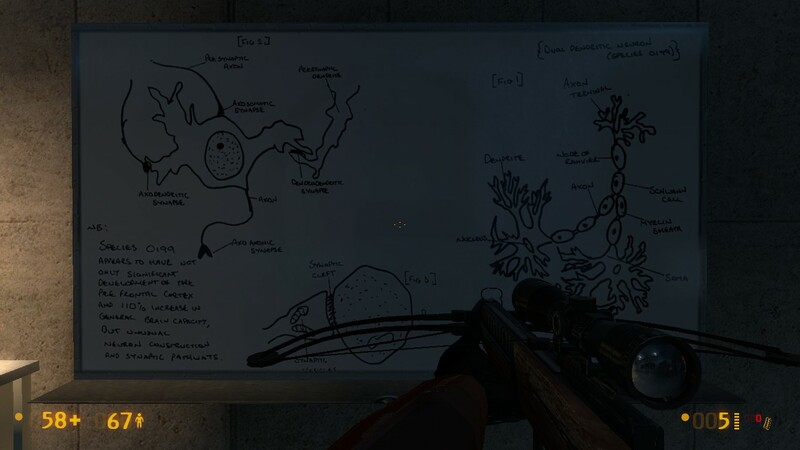 I must confess I didn't hear about this mod before, because yes, it is a mod and its using the Source Engine from Half Life 2. 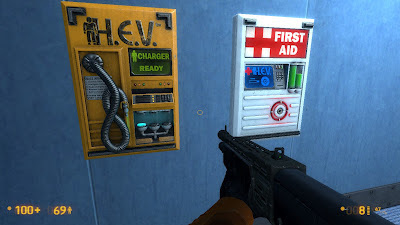 Thing is, it is a revamp of the (probably one of the best games ever) Half-Life game, from Valve. I must confess that the original Half-Life is probably the game I finished the most times, lost the count actually, including all the expansions: Opposing Force and Blue Shift. BSOD??? 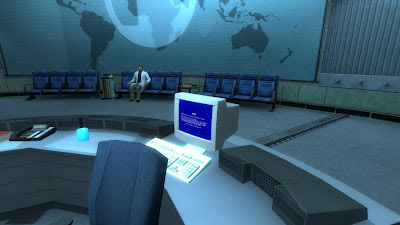 I knew it everything screwed up because of using Windows in Black Mesa!!! In general, the best improvement is obviously, in the graphics part. Incredibly higher resolution textures than the original, particles and lights, although I haven't really seen any improvement in higher poly resolution models, I'm afraid the originals have been kept for most of the in-game objects, besides the models that have increased detail quite a lot, specially for the human counterpart, not so much for the Xen inhabitants. Physics have also been vastly improved, mostly thanks to the use of the Source engine, and actually there are many levels during the game that require a completely new approach, using whatever you have on your environment in order to move forward. This can be quite annoying sometimes, since your memories will trick you here, constantly telling you, this did not happen before...why I'm stuck here? etc...but in the long run, it increases the game overall structure. What the heck is that on the left?? If you want to experience the Half Life experience again, I will encourage you to try Black Mesa. I have enjoyed every second out of it. It has its drawbacks: at hardest difficulty some stages are almost impossible (luckily you can change difficulty any time in-game), like the one where you have to cross the dam with the chopper throwing everything at you...*sigh*. 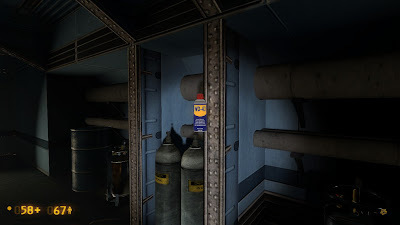 In the other hand, you can re-visit the Half Life experience with a whole new perspective, worth a try, trust me....and on top of it...it's free! Go get them Mr. Freeman. Duh? 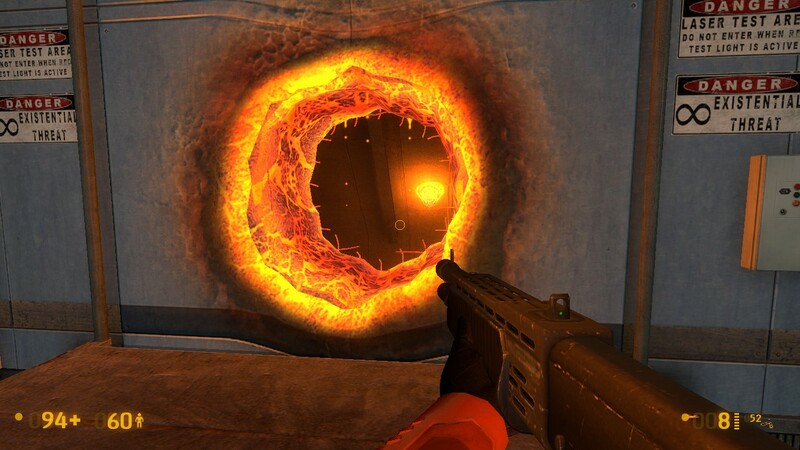 Am I playing Portal or Half-Life?